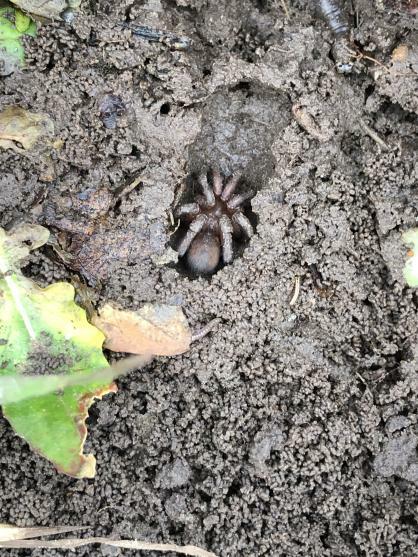 Found this guy under a brick burrowed in the dirt. Didn't wanna move much, but ran away when he could. About dollar coin size. My initial guess is some kind of tarantula, wolf spider, or crab spider.